The original cult rock 'n' roll musical returns to Glasgow! 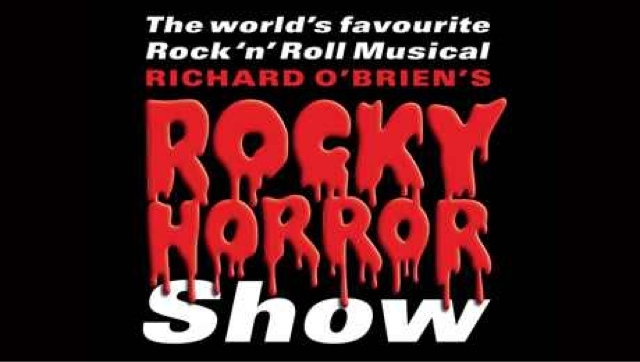 Although, perhaps, the term 'cult' is used erroneously these days as "The Rocky Horror Show" (or "Richard O'Brien's Rocky Horror Show" as it is advertised these days) has long been part of the theatrical mainstream since it's premiere at the Royal Court Theatre in the early 1970s. This current production is, in effect, a revival of the 40th anniversary tour once again directed by Christopher Luscombe and it is an exuberant and vivacious party for all present. A B-movie sci-fi/horror homage, the plot follows clean-cut "Brad" and "Janet" as they encounter the hedonistic alien "Dr. Frank-N-Furter" and his cohorts from the galaxy of "Transylvania" and - depending on your point of view - their descent into darkness and/or their liberation from society's constrictions. This is actually the second incarnation of "Rocky Horror" that Luscombe has directed: his first version appeared in 2006 and was a more theatrically pleasing and inventive production, utilising dimensional staging and even shadow-puppetry, than this current version which, first seen in 2013, returns to a broader, more concert-like feel and presentation, prevalent throughout the late 1990s, complete with the use of hand mics and cut-out sets which blur the musical's roots as a musical play (albeit a unique one). Luscombe's direction remains witty and vibrant as does the choreography by Nathan M Wright which, of course, features the "Time-Warp". Beyond the occasional cardboard cut-out-like set the production design is top notch and colourful; the iconic costumes, as ever by Sue Blane, still pop out like works of art (albeit very sleek ones); the lighting (by Nick Richings) is dynamic and the band (visible above the stage) is equally as strong. And that is the biggest flaw in this otherwise fine production - it's too polished and flashy; too knowing. Indeed, the original productions had an edge and feel to them redolent of being thrown together; a rawness that invigorated the show and its audience and which seemed more appropriate to Richard O'Brien's B-movie dialogue and simple, catchy songs with their clever, witty lyrics. Whilst there is no lack of energy here the production certainly lacks something of what made those original productions so original and fresh and it is, perhaps, inevitable that this should become so in a musical that has been as popular as this one for the best part of half a decade. But that is not to detract from the sheer joy and fun that this production produces, be it from cast or audience. The cast are led by Liam Tamne as "Frank-N-Furter" in a performance that dares to vary from the more usual paint-by-numbers Tim Curry knock-off and which is, for the most part, an exciting success; Tamne is certainly the naughtiest "Frank" to grace the stage in many a year. Diana Vickers holds her own as "Janet" whilst Richard Meek creates a more rounded "Brad" than one would think possible; he is engaging to watch and his beautiful voice is one of the best in the production. "Rocky Horror" veteran Kristian Lavercombe is ever reliable as "Riff Raff" with his dynamic vocal ability setting the bar for his fellow "Transylvanians", his energy never dropping for a moment. The same can be said of Kay Murphy as "Magenta" and Sophie Linder-Lee as "Columbia" who both make the most of their limited material. Dominic Anderson's "Rocky" is certainly a feast for the eyes and his comedic talents are clearly displayed here. Paul Cattermole is a more hesitant "Dr. Scott" than most but his "Eddie" is a more full-on affair and Norman Pace fares excellently as the "Narrator" where he is quick and funny, handling his audience expertly. "The Rocky Horror Show" remains a thoroughly engaging experience and it remains one of the most striking examples of the relationship between the performer and their audience, being one of the more successful shows in bringing a non-traditional theatre-goer into the auditorium. The messages "Rocky Horror" portrays are still as important as ever and it's evident that "Rocky" will endure and in whatever re-incarnation it chooses.